I am posting this vodka recipe on behalf of Alesha, who made it for the January 2014 Vegan Bake Club meeting. Hopefully I have her method down right. Slice lemon and place slices in a mason jar. 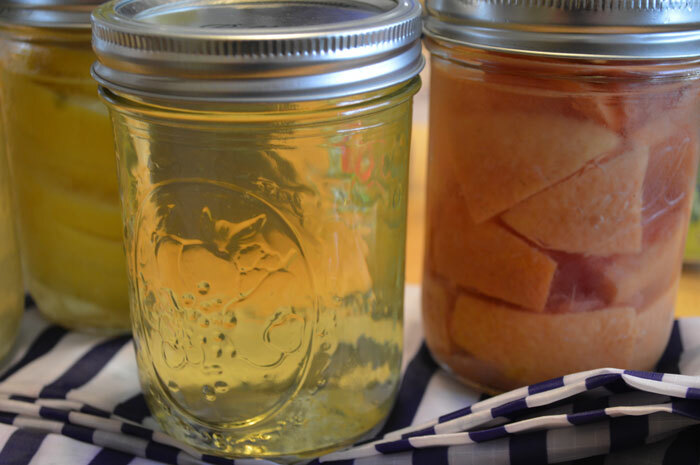 Slice grapefruit and place pieces into a separate mason jar. Pour vodka over fruit to fill each jar. Place jars in a dark cool place such as a cupboard. Shake jars every now and then. Alesha did this for six days. Now that the vodka is fruity, pour the contents of each jar through a coffee filter to remove pulp. Serve with lime simple syrup and fizzy water. One Response to "Drink Your Juice, Shelby"